Anyone with information is asked to call Detective Keith Jackson at 618-344-2131 Extension 5291 or CrimeStoppers at 866-371-8477. 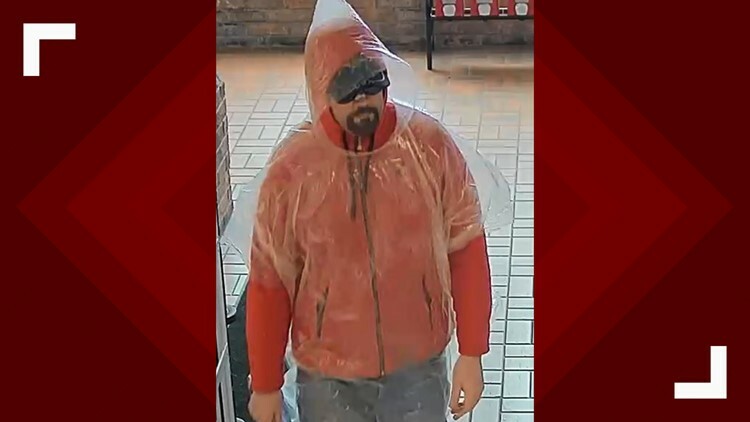 COLLINSVILLE, Ill. — Police are looking for an armed and dangerous man who robbed a Collinsville, Illinois, bank Sunday afternoon. Police said the man walked into the US Bank inside the Schnucks on the 500 block of Beltline Road and walked up to the counter. Police said security video showed him lifting up his shirt to reveal a handgun in his waistband as he demanded money. The teller handed over some cash and the man ran off. He was last seen running into the woods behind the complex. Police said he was wearing an orange hoodie, blue jeans and work boots at the time of the crime.